OMG Posters! » Archive Tyler Stout's New Flight Of The Conchords Poster (Onsale Info) - OMG Posters! 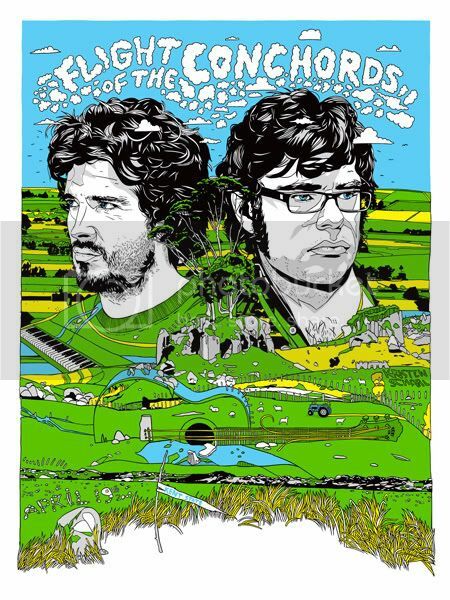 Tyler Stout’s latest and greatest Flight of the Conchords poster will be going up for sale early next week. Created for the recent Kent State show, it’s an 18″ x 24″ screenprint with an edition of 350 (though Tyler will only be selling 75, meaning these will probably go fast). They go up Monday, April 27th at 12pm PST. Visit TStout.com. I keep staring at it. 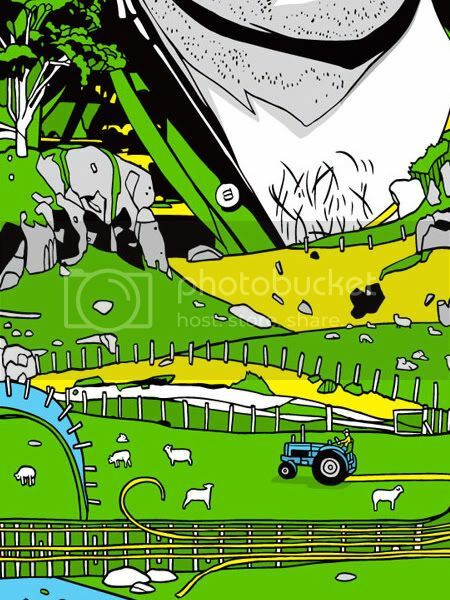 I love Flight of the Conchords and Tyler Stout, but I never pick up any of their band posters because I’ve never found ones that I have really, really liked. This one is amazing. Wow… Damn fine looking poster, Tyler! I will definitely be trying for one of these . Going to have get this one too…..and I haven’t even see the show yet…. I really really really hope I can snag this one up. Were you able to grab one, Machination? I could’ve, but decided against it at the last second. Just don’t feel like purchasing it right now. WOW, this is so dam cool.